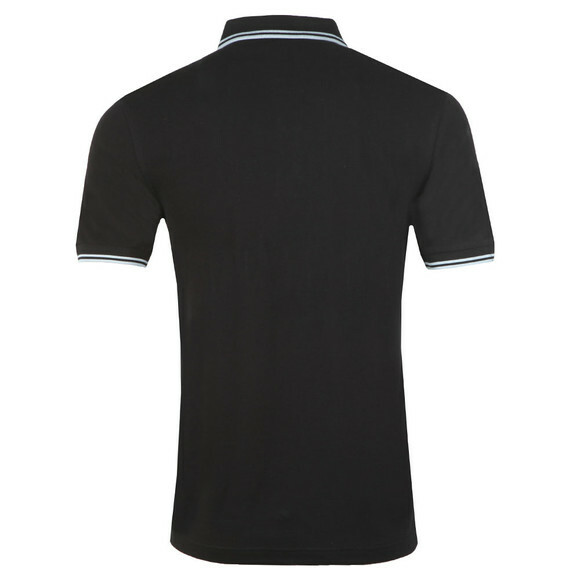 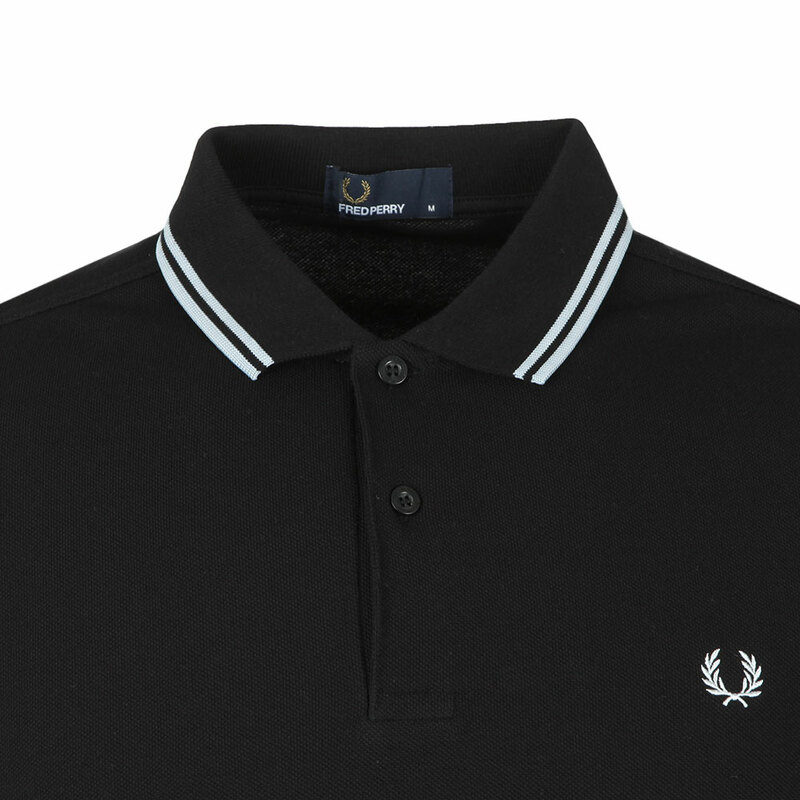 Fred Perry Twin Tipped Polo Shirt in Black/Pale Blue. Fred Perry plain polo shirt with twin tipping detail on the collar and sleeves. 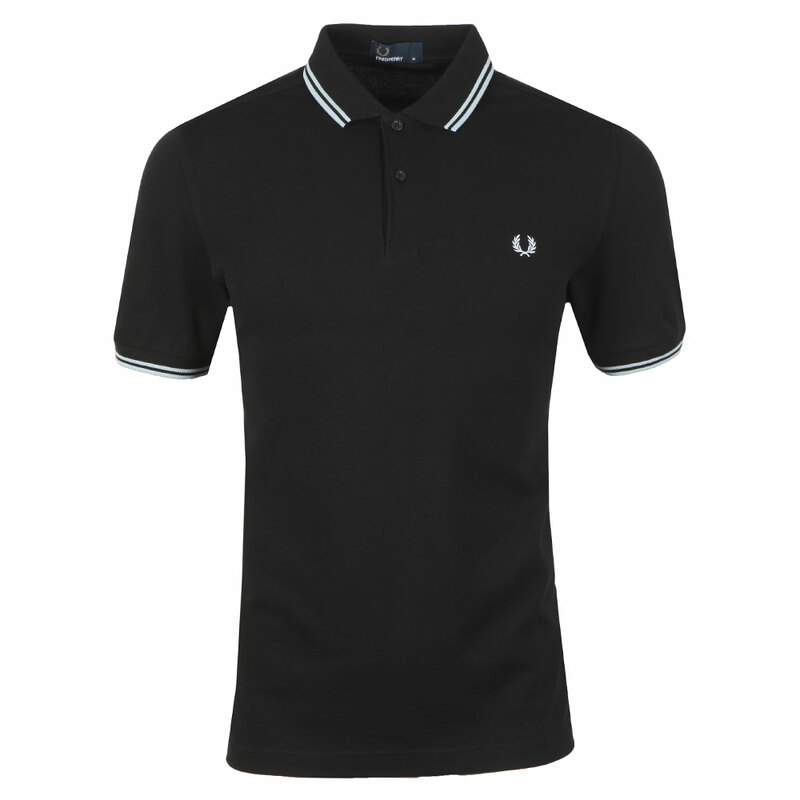 2 button placket and stitched Fred Perry wreath logo on the chest.This is a Slim fitting garment, which is tighter fitting in the body and across the chest. 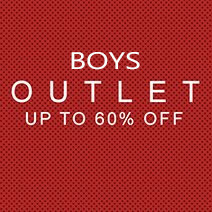 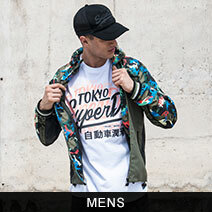 You may be required to order a bigger size to compensate for the slimmer fit.